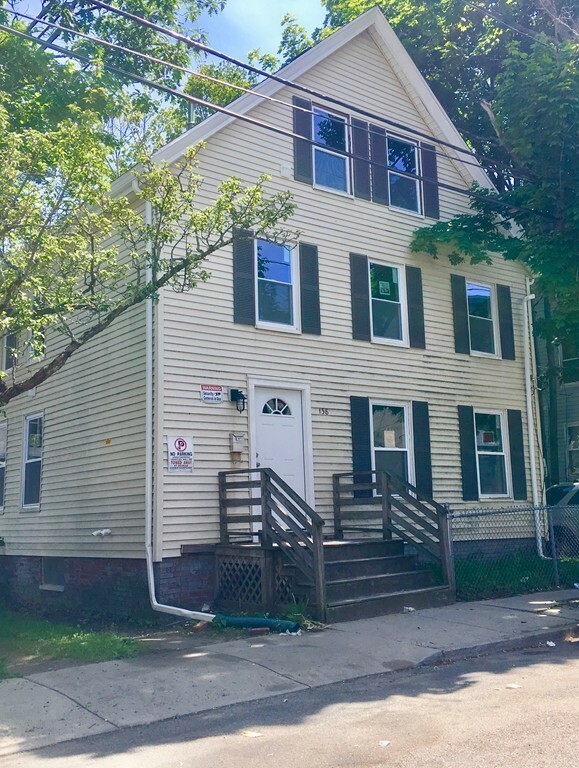 Complete gut rehab in this two family home with large unfinished basement and attic that houses potential for additional living space. Each unit has 3 bedrooms, open floor plan for living room & eat-in kitchen, stainless steel appliances, all new, separate heating systems, water heaters, washer & dryer hookups, brand new windows, new roof, super large lot, fenced in yard, parking can be expanded to fit several cars in addition to the current 3 parking spots. Please attach all RE/MAX forms and disclosures with offers. Buyers to be Vetted by Maria Luker from Salem 5, no exceptions. Cash buyers submit proof of funds with offers. Visiten esta multi familiar recin remodela con todos los sistemas nuevos, ventanas, techo, y basement y tico con espacio para terminar, yarda grande, cocinas y baos nuevos, en fin, no te pierdas esta oportunidad. Exclusions See Inclusion / Exclusion sheet.